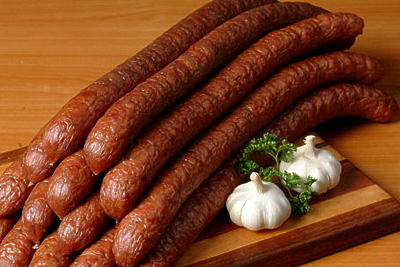 The word sausage originally comes from the Latin word salsus, which means salted or preserved. In the days of old people did not have refrigeration to preserve their meat and so making sausage was a way of overcoming this problem. the most delicious Polish sausage around!